One of the biggest issues in owning a business is managing your cash flow. The working capital that you have is important, since it determines whether you meet payroll, and whether your suppliers get paid. 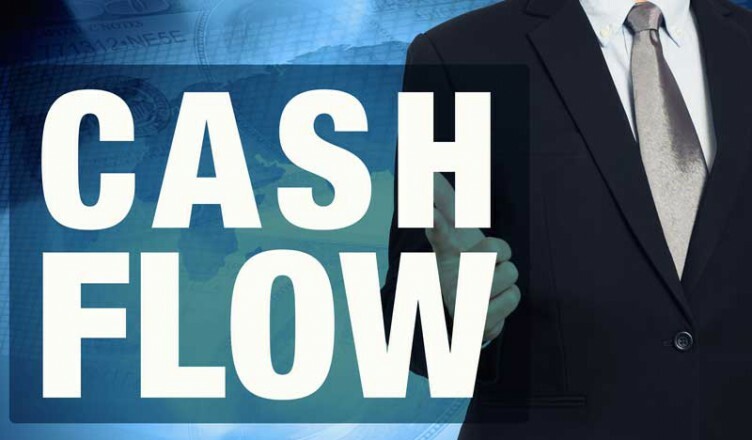 However, while you have these regular outflow obligations, you may find that your cash inflows are a little slower. Your own clients may pay for products and services every 30 to 60 days from when you invoice them. This means that you may need to meet your own obligations before you have the money from your clients. This can stress your cash flow situation, and leave you with small amounts of working capital at certain points in your business cycle. In order to streamline your cash flow, you might consider invoice factoring. This is a process that can help you get cash up front, on a regular basis, that can be used to make sure that your suppliers and personnel are paid, without having to wait a month or two months for your clients to pay on their invoices. You provide a product or service to your client. In order to get more money up front, you take the invoice to a factor specializing in accounts receivable factoring. The factor takes the invoice and advances you between 50% and 90% of the face value of the invoice. When the invoice is actually paid by the client, the factor takes a portion of the remainder as a financing fee, and you get what remains. Average fees for factoring run between 2% and 5% of the face value of the invoice. Factoring is a form of financing for companies that may have difficulty getting bank financing. It can be helpful in streamlining cash flow, since it provides you with a steady stream of cash as you have invoices that need to be paid by clients. It is important, though, to have reliable clients when you are using accounts receivable factoring to help your cash flow. Instead of relying heavily on your credit as a business to determine your financing, factors will look at the business reputation of your clients. If you have clients that are riskier, you may not be able to factor their invoices, or you may have to pay a larger financing fee to help the factor cover the risk. If you have reputable clients that can be counted on to pay their invoices in full within 30 to 60 days, then you will be able to work out a deal with the invoice factoring company to allow you to bring your invoices in whenever you need to in order to get an advance that can be used as working capital in your business. Who can benefit from invoice factoring? While nearly any type of business can benefit from accounts receivable financing, there are some businesses that seem to find even greater benefit from factoring. These are businesses that are growing quickly, are start-ups or deliver goods. Trucking companies and manufacturers find that factoring can help their businesses run more smoothly from a cash flow standpoint, and new businesses find that they can get financing through factoring when banks tell them they don’t have enough business credit to qualify for a small business or start-up loan. One of the nice things about invoice factoring is that you increase your liquidity. You have more money available to you on a regular basis, since you are basically getting paid immediately for your invoices, rather than waiting. This means that if you need to make payroll this week, and your client won’t pay for another 14 days, you are able to make sure that your employees are compensated, since you have the money from your factor. Once you have established a factoring agreement, you do not need to be approved over and over again. All you have to do is bring in your invoices and get your advance. The turnaround is quick. Additionally, the financing is flexible, and as your sales increase, so does your ability to get additional financing to pay for things like office equipment, employee bonuses and overhead costs. In the end, you might find that invoice factoring can provide you with a more streamlined cash flow, as well as work capital that can be used immediately for the benefit of your business.